You want to… you want to create a fulcrum so that you catch it and pop it off. So just catch it there. And it’s one quick fluid motion now, catching under the lid. Being able to pop off the bottle cap with a lighter just takes some practice. You may find that it hurts your hand but if you create the right angle on the fulcrum, this shouldn’t be the case. Once you get old enough to drink, it’s almost a required skill to be able to open a beer bottle with a lighter – or any other object. 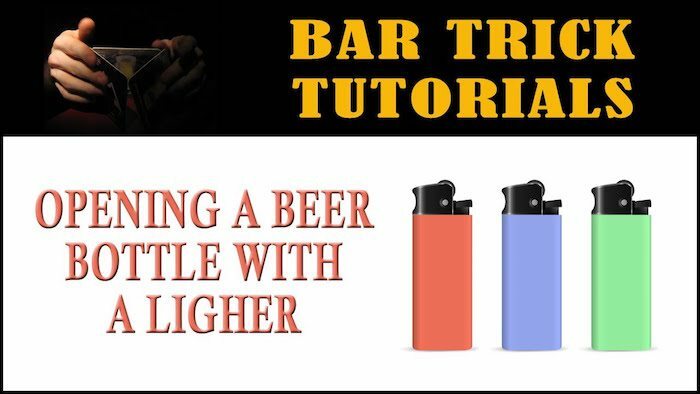 You can even open a beer bottle with a plain ol’ piece of paper – no kidding!